Kinji Shimokitazawa staffer showcasing a red printed fashion style while out on the Harajuku street one evening. 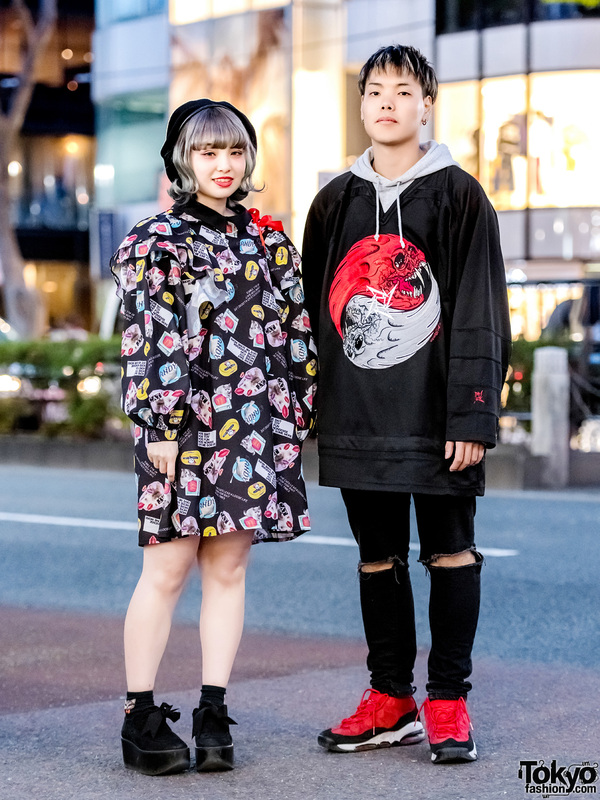 Harajuku girls streetwear styles including More Than Dope, One Spo, and Yosuke. Japanese actress and model Manaka on the Harajuku street sporting a floral print street style. Red-haired Harajuku student sporting a retro vintage fashion with plaid coat, printed dress, sequin shoes and floral tote bag. 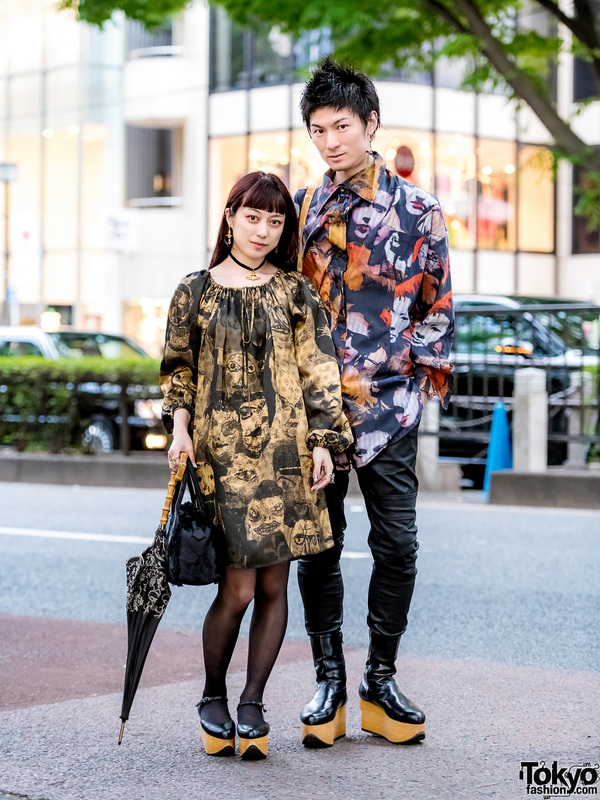 Stylish duo in head-to-toe Vivienne Westwood while out and about in Harajuku. Japanese idol on the street in Harajuku with a bob hairstyle, floral dress, and Pomeranian tote bag. Japanese student in edgy vintage street style while out in Harajuku. Harajuku designer in layered fashion with pieces from Otope, OTOE, Tricot Comme des Garcons, and Tokyo Bopper. Harajuku students in colorful Japanese street fashion with layered outerwear & tops, printed dress, shorts, colored denim pants, plaid pants, crossbody bags and shoes.